The basic concept is based on a recognition that using more and more fixed lasers to generate vertical channels is impractical. Therefore, Uber suggest generating a beam plane (planar laser beam) in combination with many individual photodetectors to generate the required vertical resolution. Uber deserves credit at least for inventing a new term. 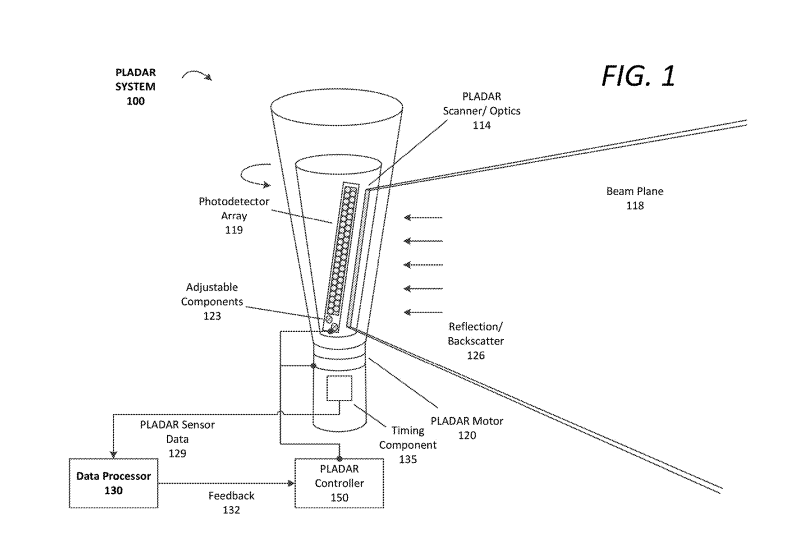 It appears that PLADAR for Planar Lidar has not previously been used in any patent application.